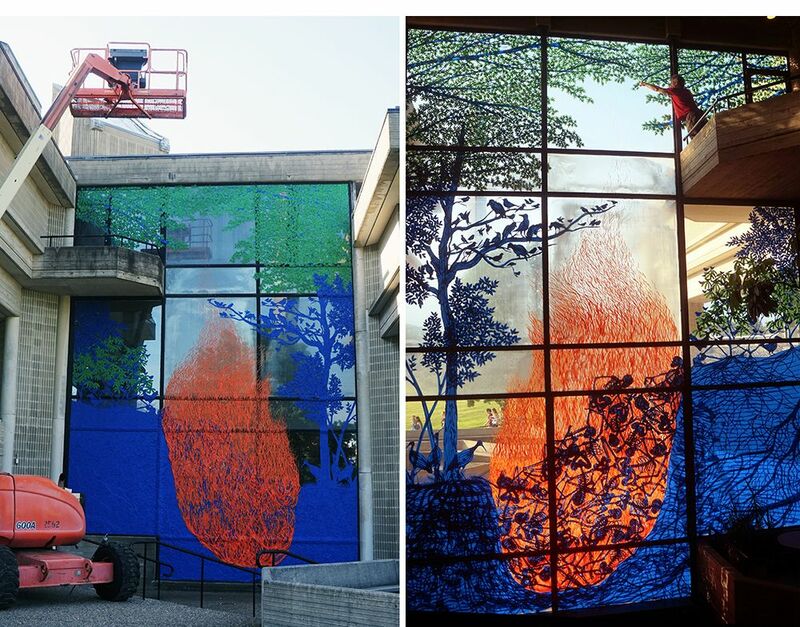 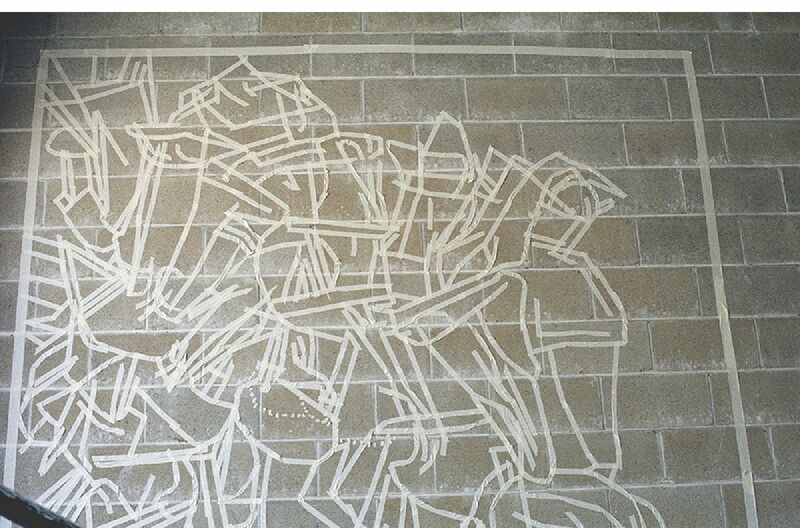 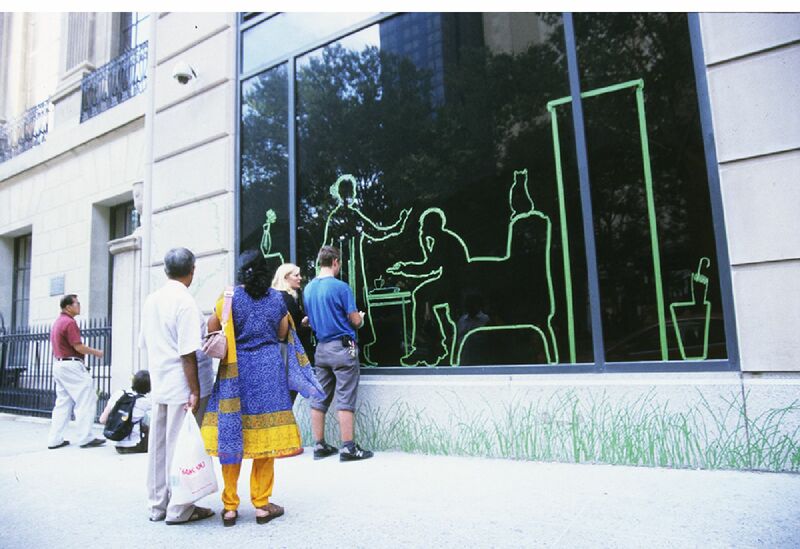 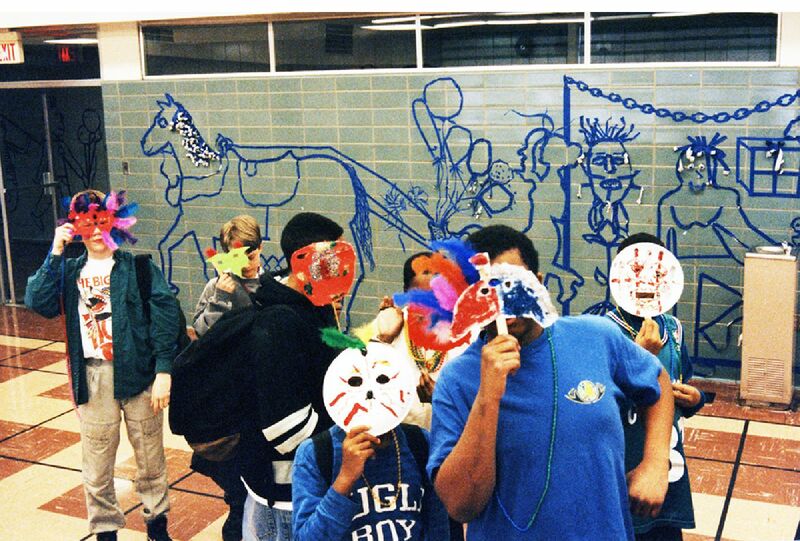 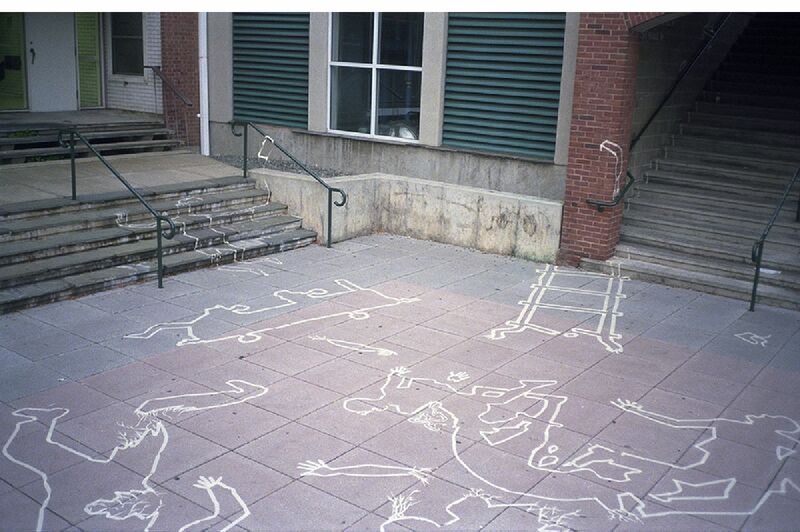 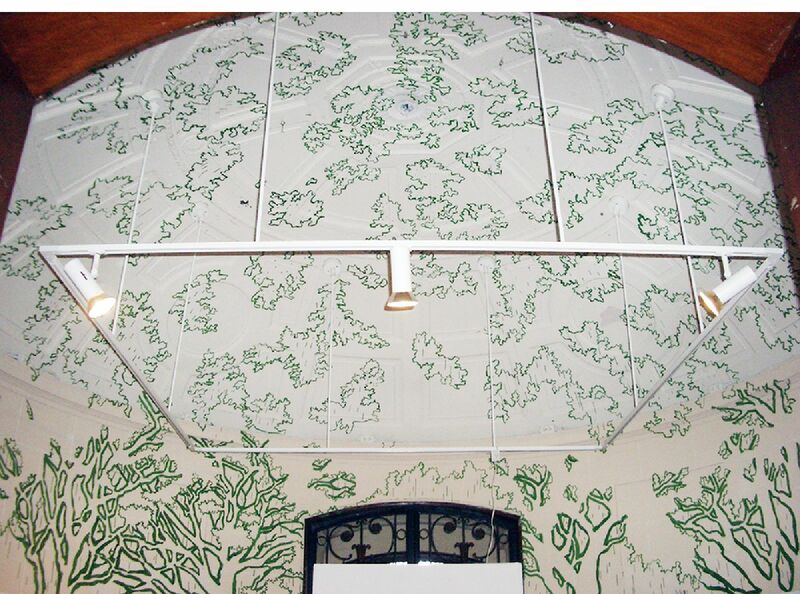 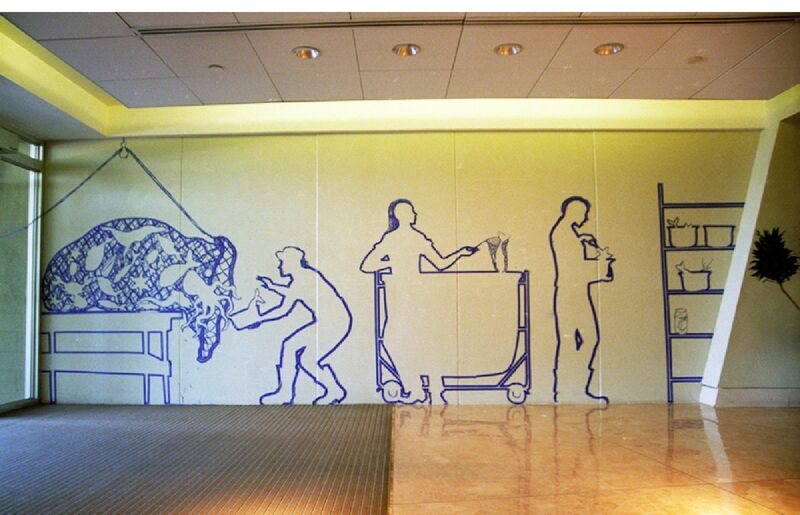 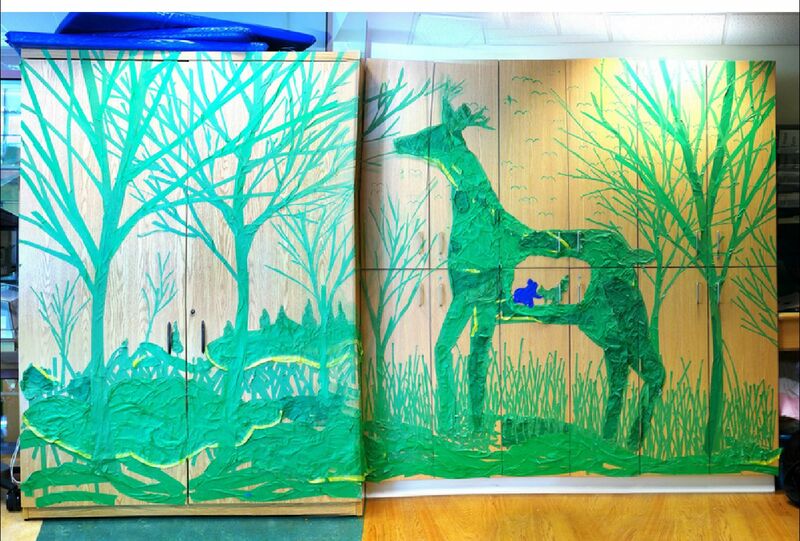 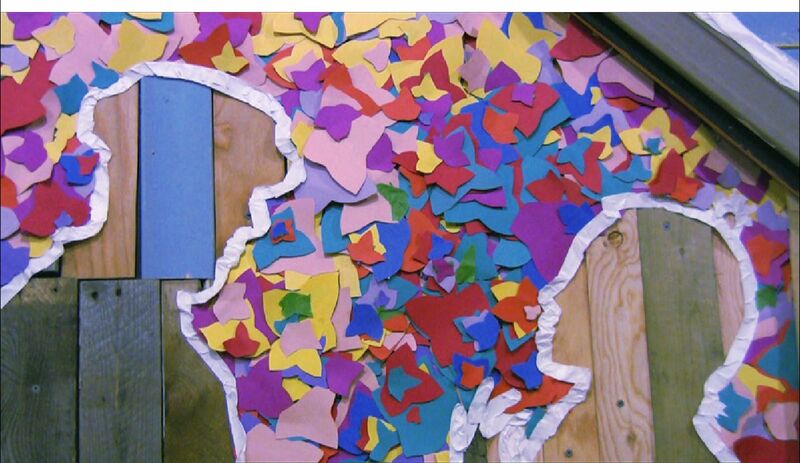 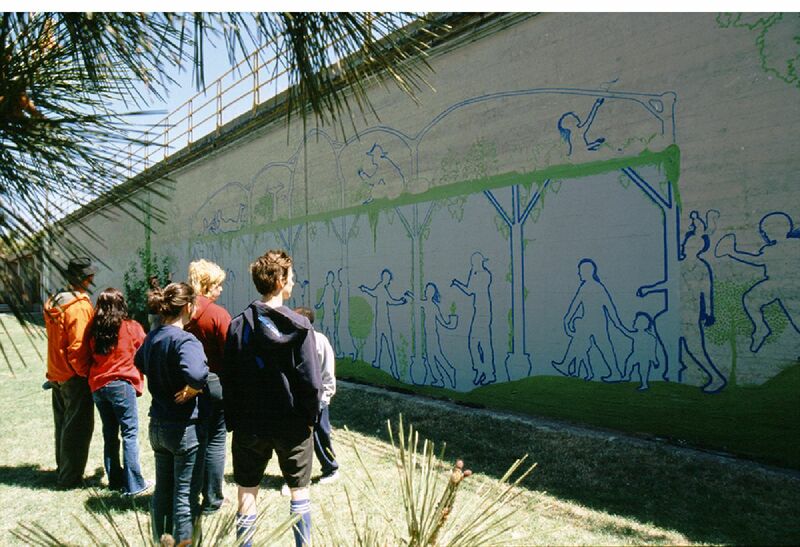 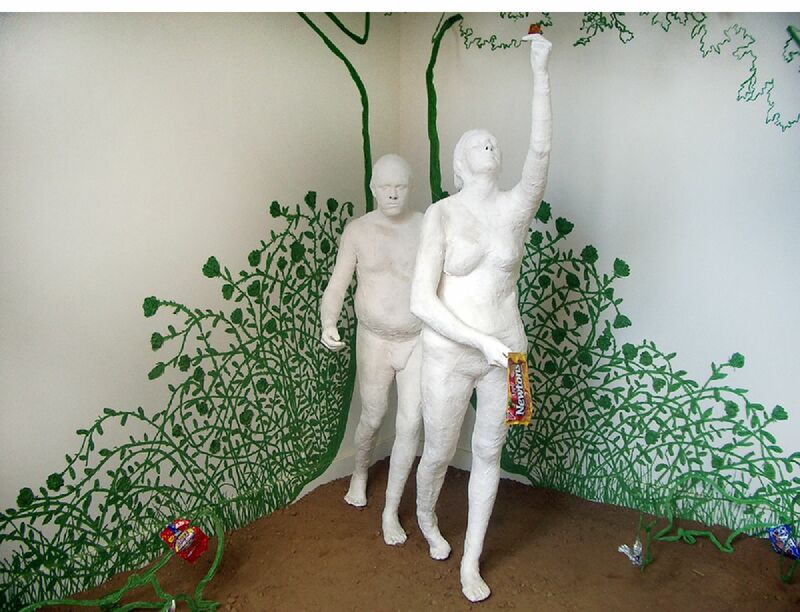 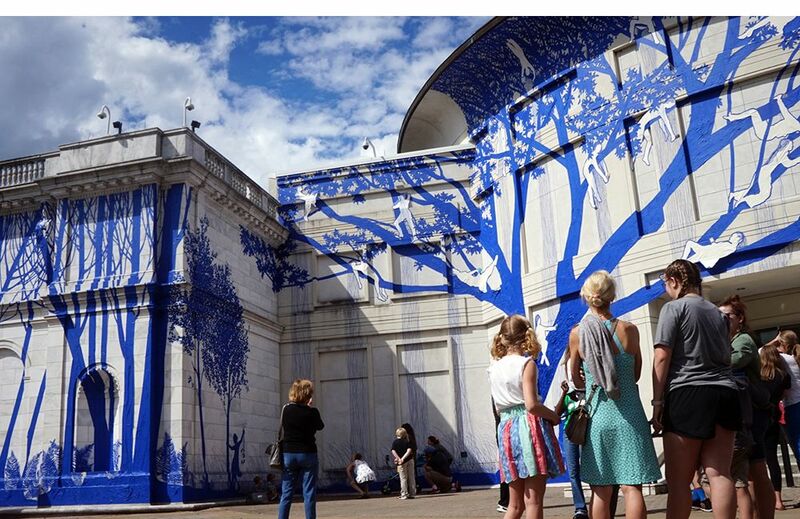 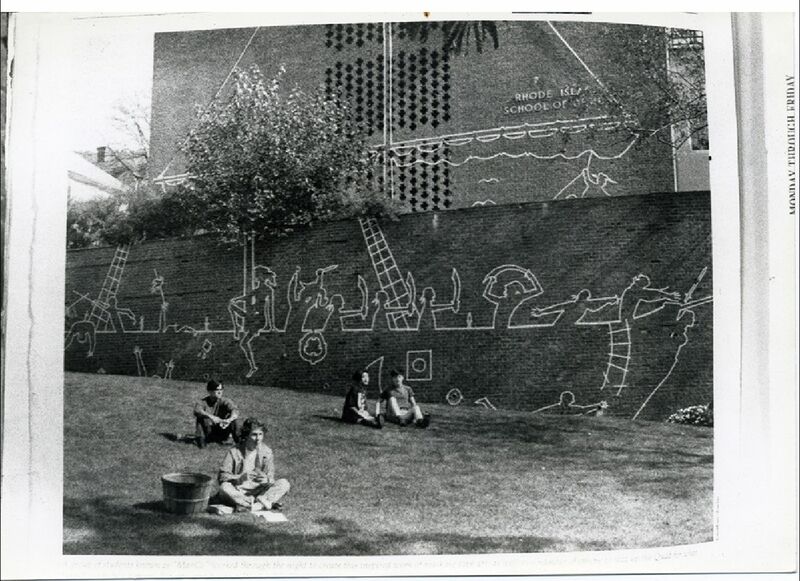 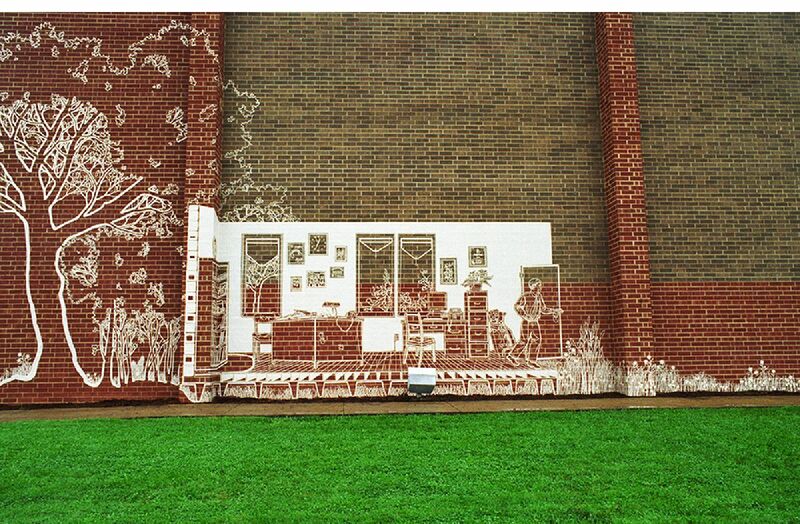 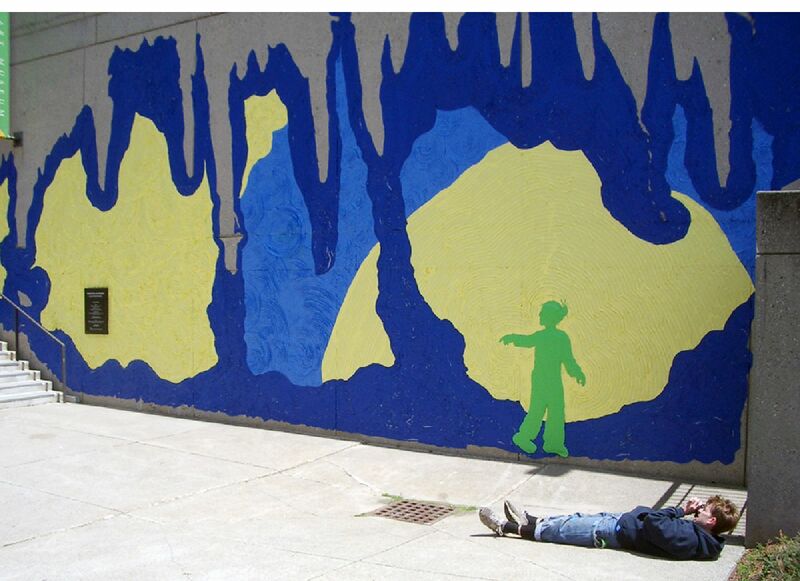 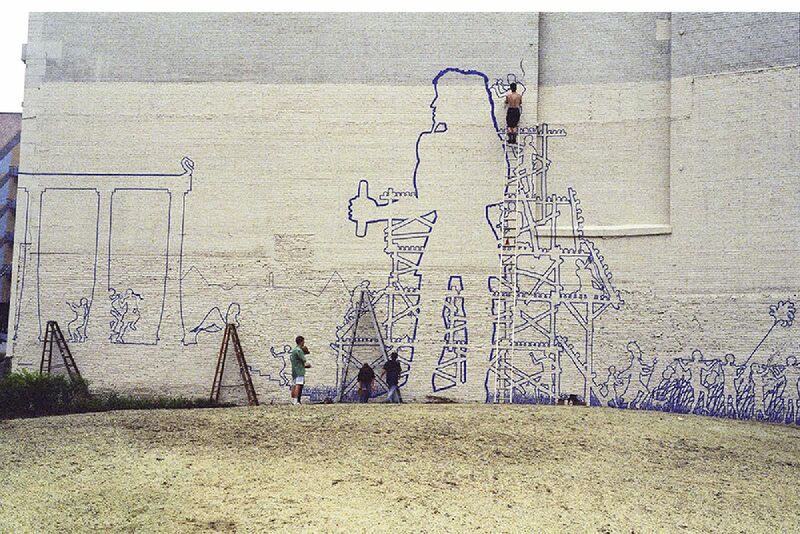 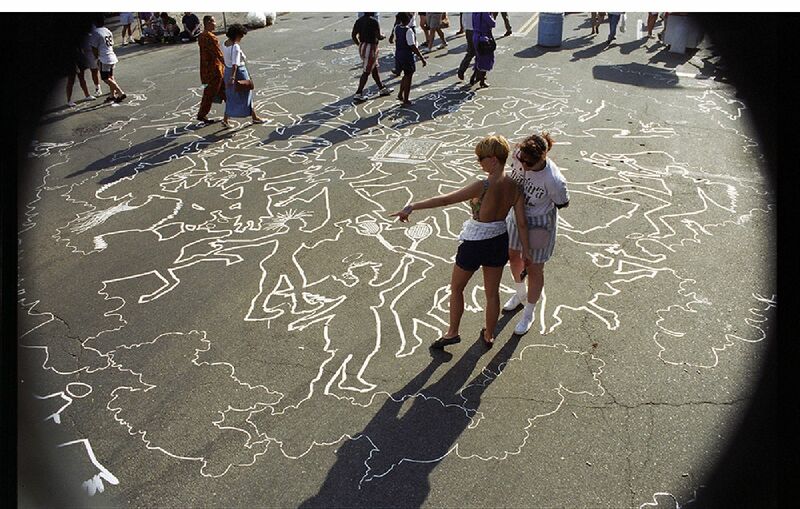 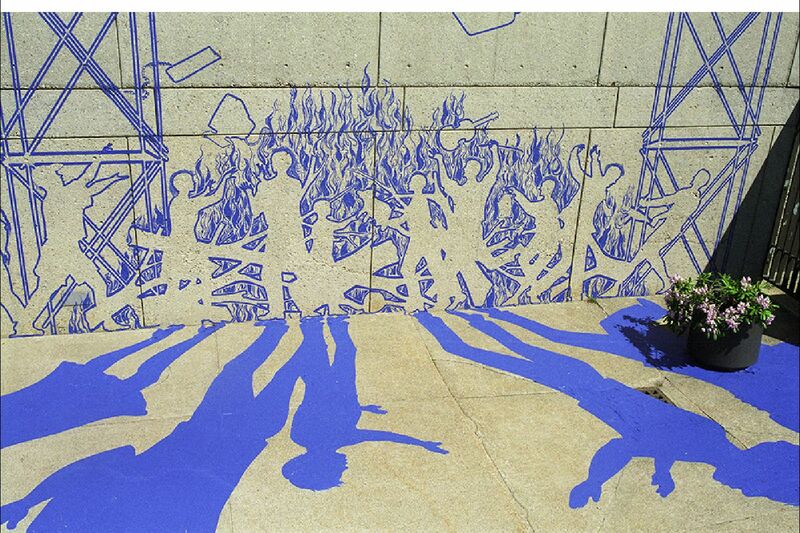 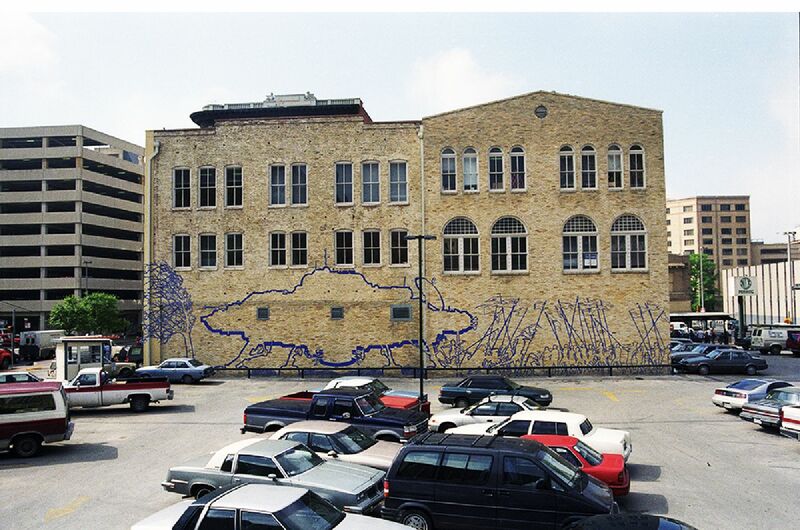 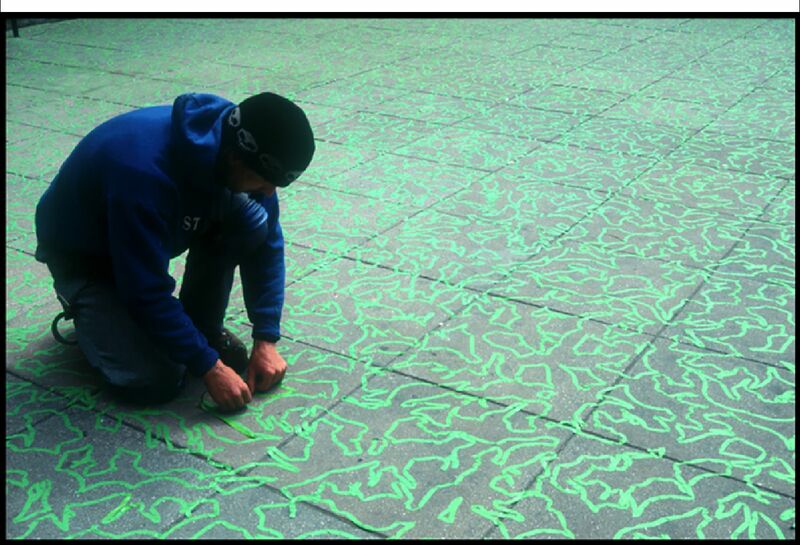 The Tape Art movement originated in Providence, Rhode Island in 1989 in the form of large-scale, collaborative drawings created in public spaces. 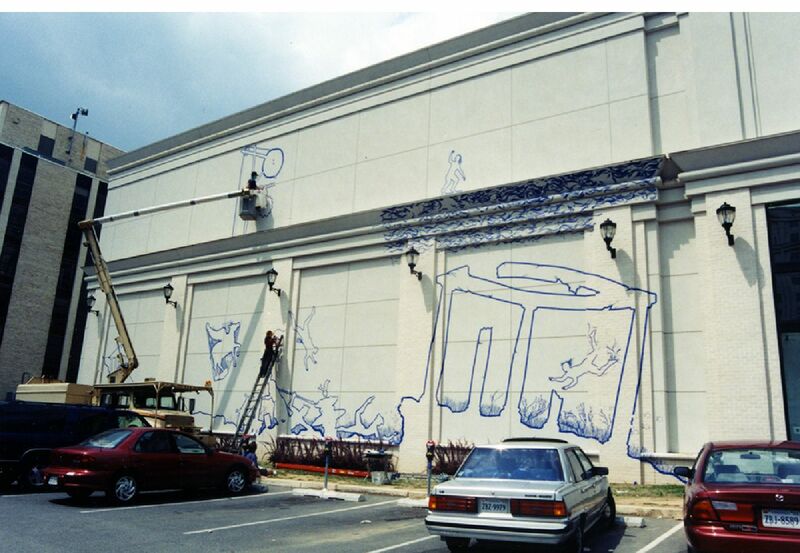 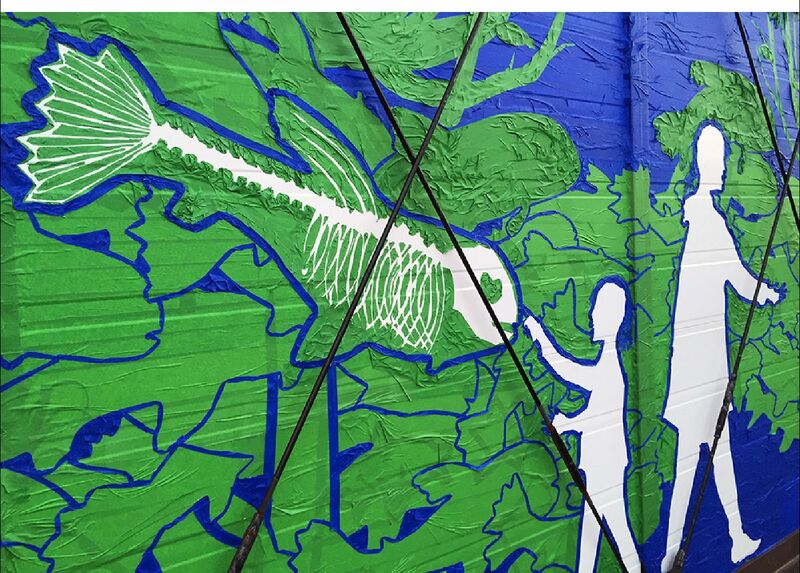 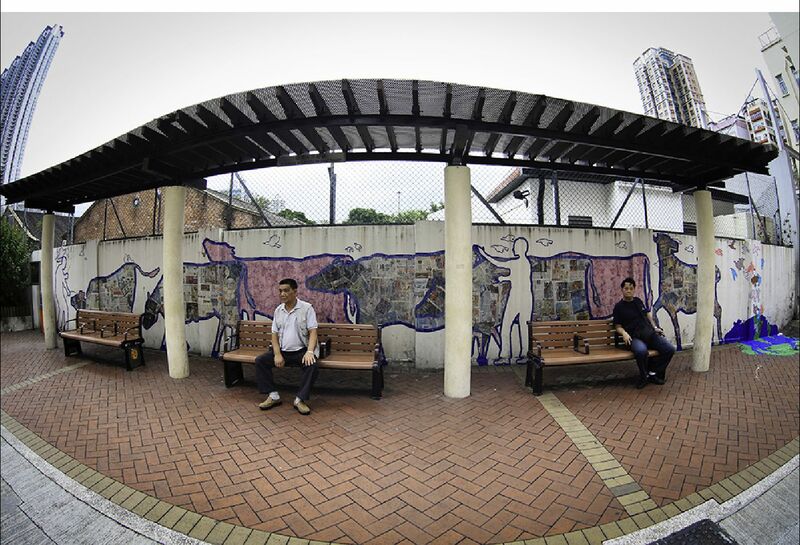 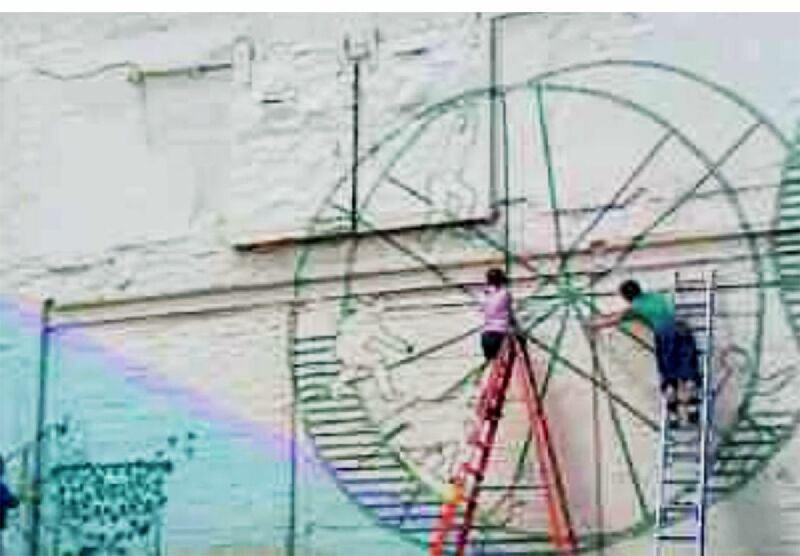 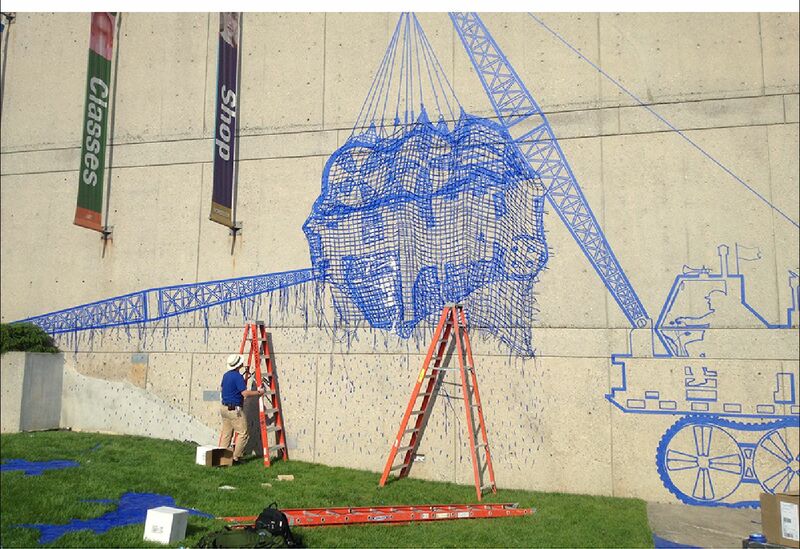 The original Tape Art Crew continues to pioneer and evolve this medium and over the last 30 years they have produced over 500 public works and thousands of smaller drawings in locations around the globe. 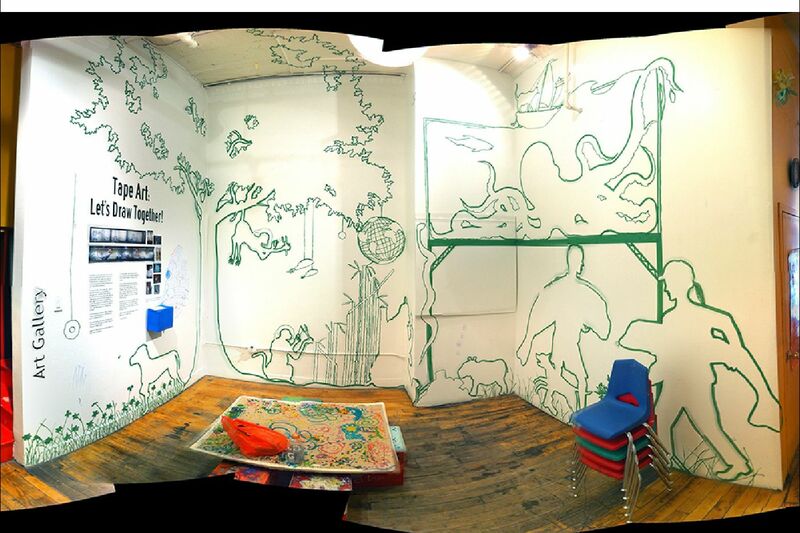 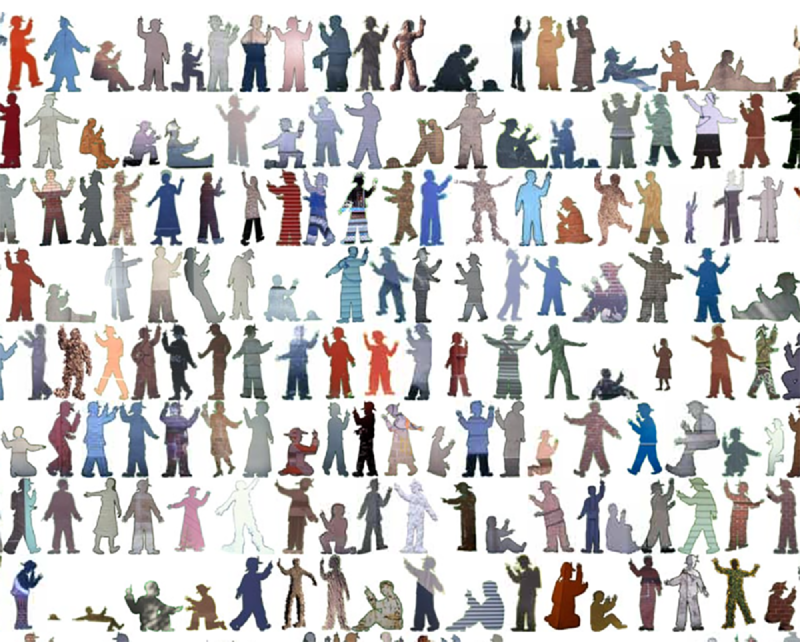 Below is a cross-section of the Tape Art catalogue with one mural from each year. 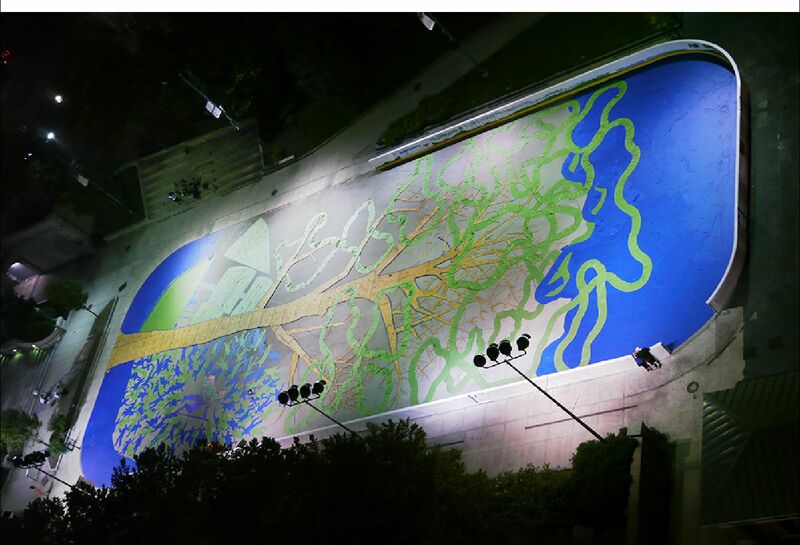 Click on a photo to explore the project. 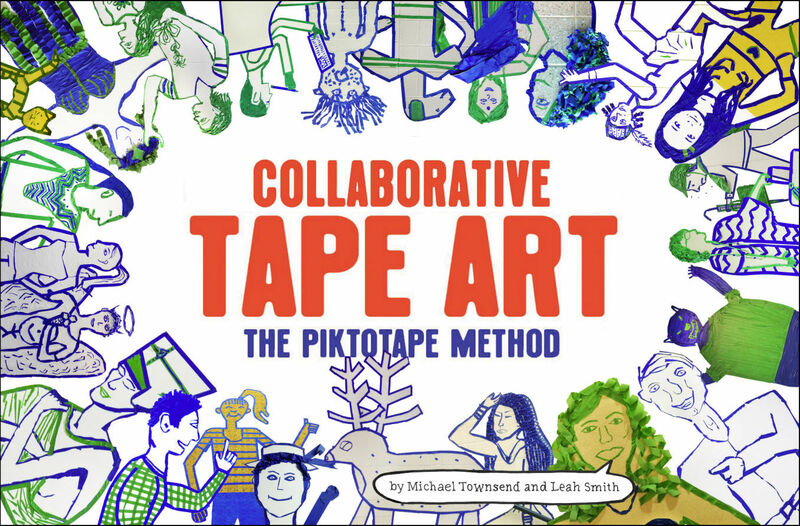 We are celebrating 30 years of taping with a book on teaching collaborative Tape Art in schools and communities! 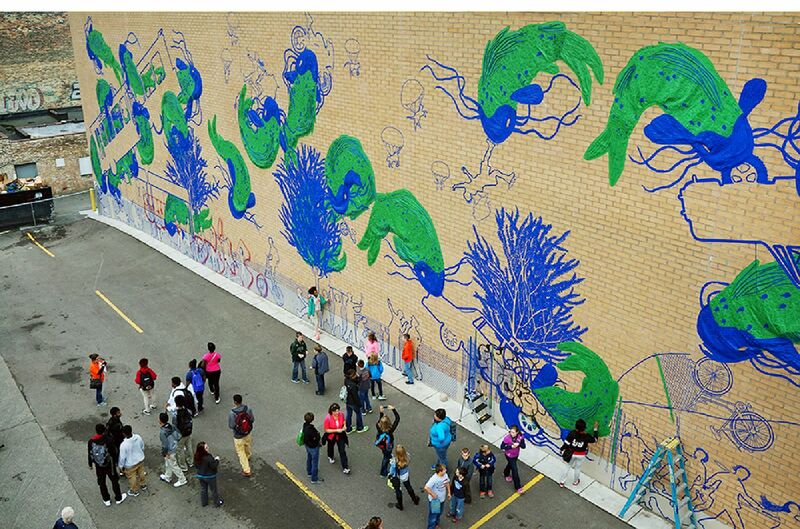 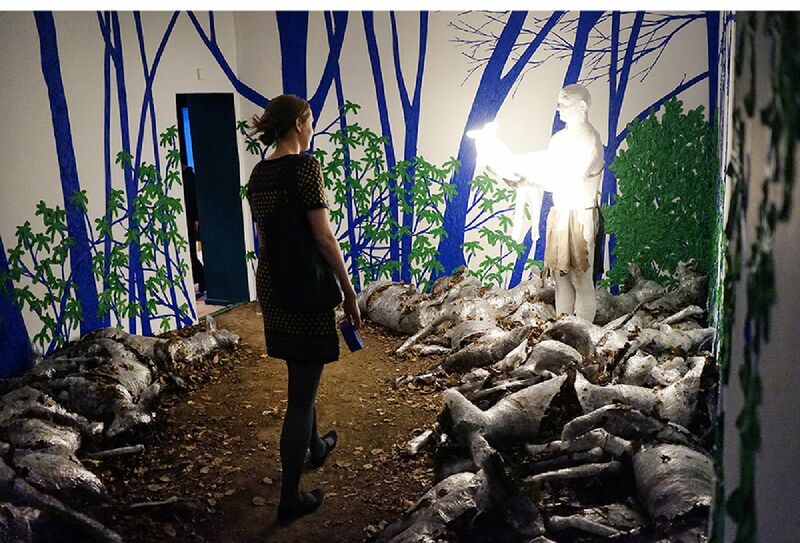 Get a look into the amazing world of large-scale, collaborative art-making and how you can experience these transformations for yourself.